TALLMEDGE TOWNSHIP, Mich. (WZZM) -- Two Zion Christian School students were taken to a hospital after their school bus crashed near Marne Thursday morning. The Ottawa County Sheriff's Department tells WZZM 13 there were a total of five students on board at the time of the accident. 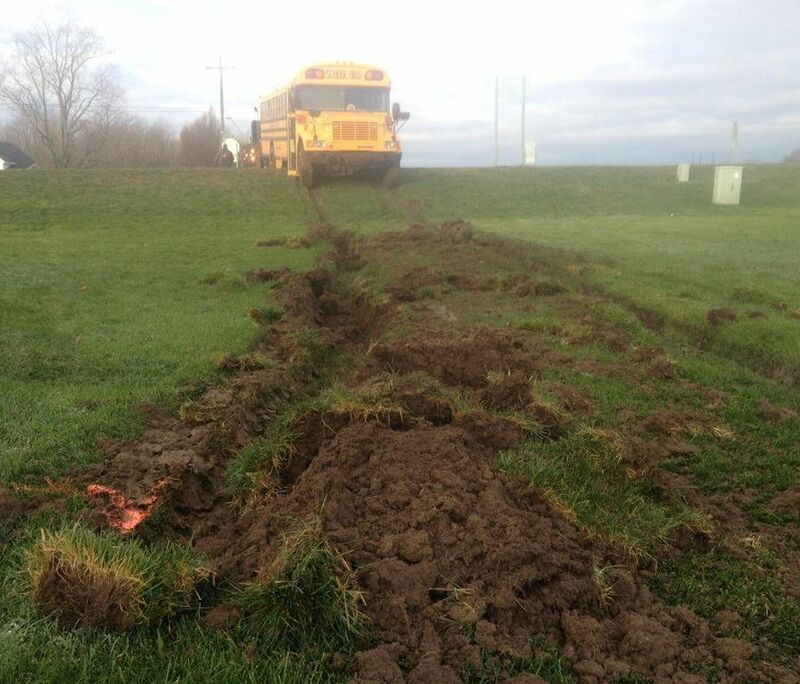 The bus left the road around 7:25 a.m. near the corner of 24th Avenue and Leonard Street. Bus driver Angela Telman, 50, was not injured and was properly licensed. She told deputies she was confused by the intersection and missed a stop sign. "Completely missed the intersection," explains Captain John Wolffis of the Ottawa County Sheriff's Department. "she said she was not distracted, not on the phone; she just lost track of where she was." Initial investigation reveals the bus went airborne for about 20 feet before landing in a neighbor's yard. Three students on the bus were sent home with their parents. Their injuries were minor. The two other students were taken to Helen DeVos Children's Hospital with serious, but not life-threatening, injuries. The students ranged in age from 9 to 16. Bus driver Angela Telman was at fault and received 2 points on her license last year after crashing into the rear of a car on a snowy day in November..